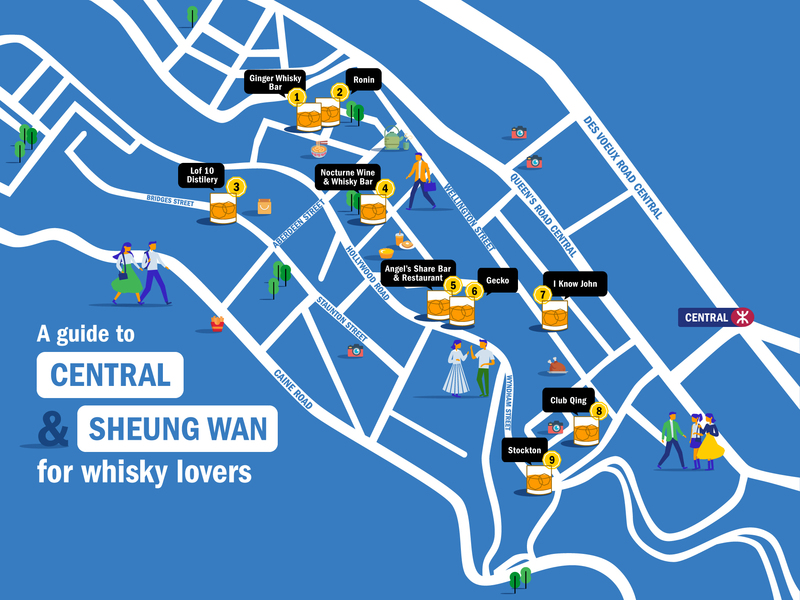 Hong Kong is home to some of the best bars in the world, like The Old Man, PDT, Quinary and Bar De Luxe. 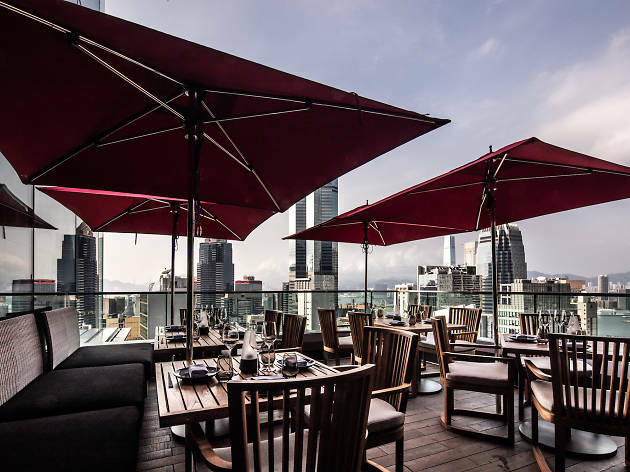 Whether you’re sipping drinks on one of Hong Kong’s best rooftop bars or somewhere in Central or Wan Chai, more often than not, some of the finest creations made by the city’s excellent bartenders just happen to be extremely photogenic too. Whether you’re chasing likes or just after a cocktail that looks as good as it tastes, we’ve got Hong Kong’s most Instagram-worthy drinks right here for you. 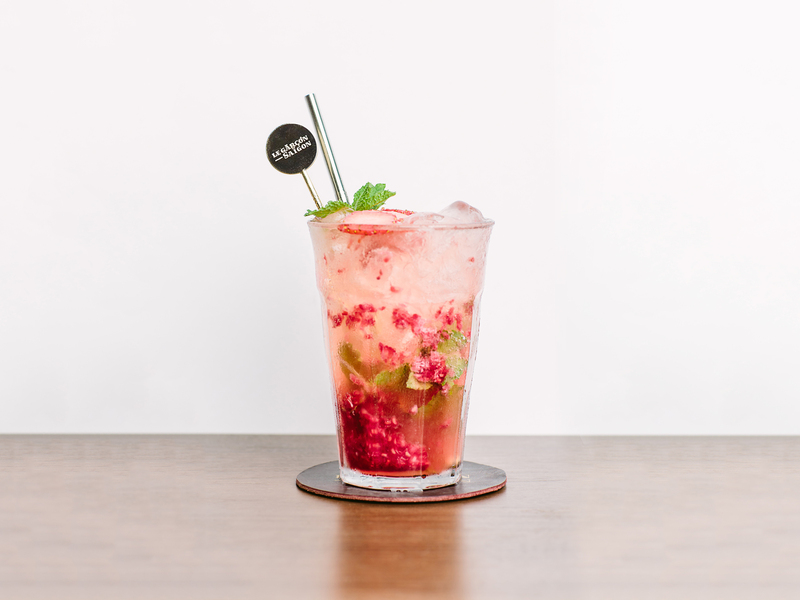 Take a sip and get snap-happy! RECOMMENDED: If you’re looking to photograph more than just drinks, just visit Hong Kong’s most IG-worthy locations or picturesque housing estates. 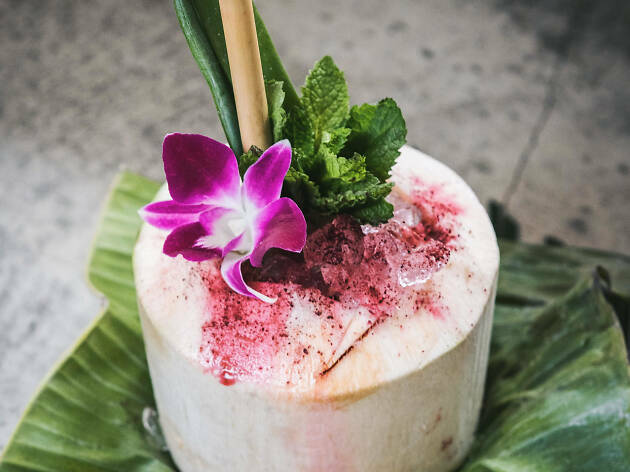 Coconut woman is calling out, and for those wishing to answer the call, head to Potato Head. That’s where you can find this concoction of spiced rum, coconut purée, fresh pineapple juice, recycled citrus syrup, banana, lime juice and aromatic bitters. 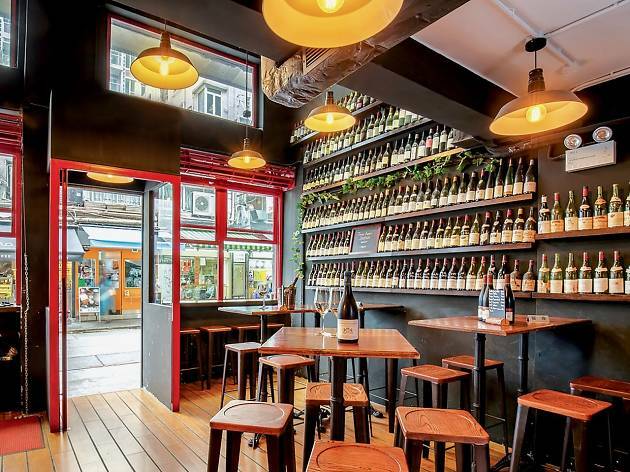 It’s a smooth yet sour palate pleaser. 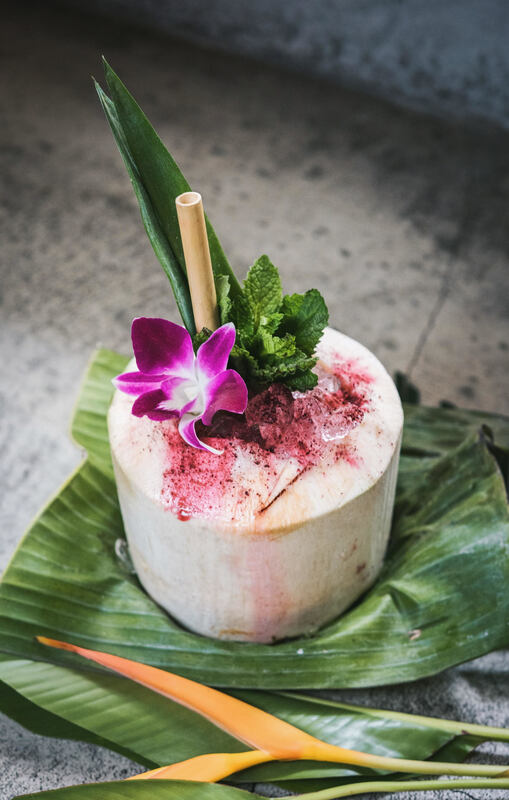 Easy to sip and easy on the eye, it’s served in a whole coconut and garnished with a beautifying orchid, a pineapple leaf, mint and flavour-enhancing hibiscus salt. 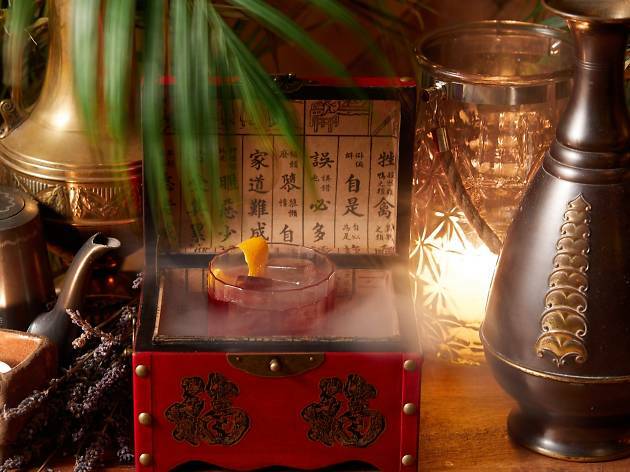 This treasure box is filled with an exotic take on a negroni. Housed inside is a blend of Bulldog gin infused with lapsang tea, Campari, chocolate bitters and red vermouth. 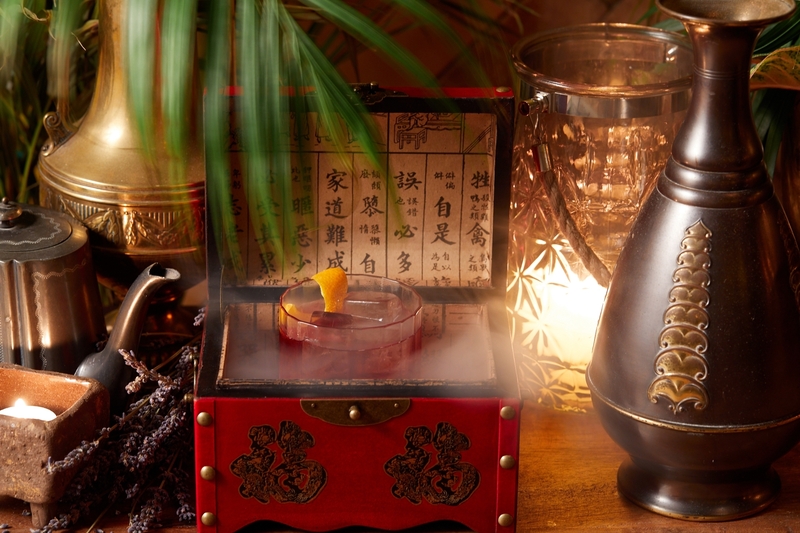 The ornate box comes presented tableside in a curtain of smoke, making for a smokin’ and sultry sip. This is one top gun. 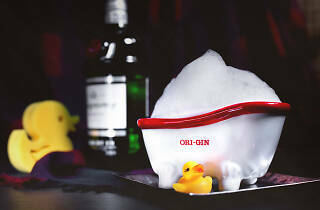 The Heisenberg is The Pontiac’s icy homage to the real star of Breaking Bad: crystal meth. 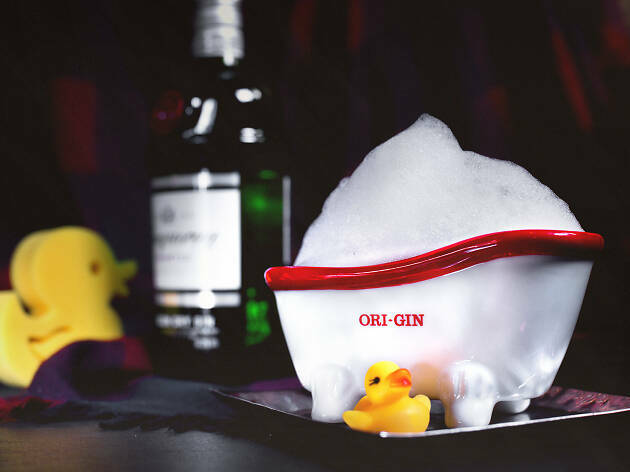 A dangerous blend of Aviation Gin, Giffards blue curacao, Martini Bianco vermouth, lemon juice and absinthe is combined in a slushy machine to make for a brilliantly blue and rocky ride. 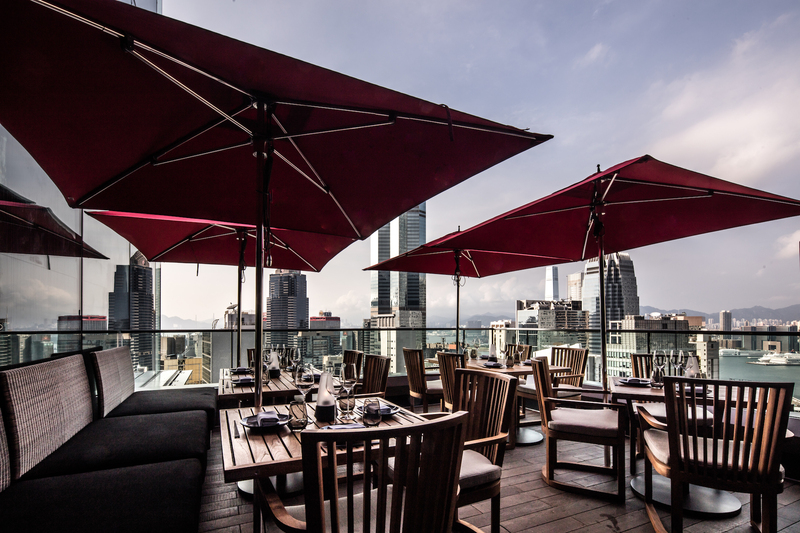 Alas, the Nekuta and the Venus Fly Trap is no longer available at Zuma. 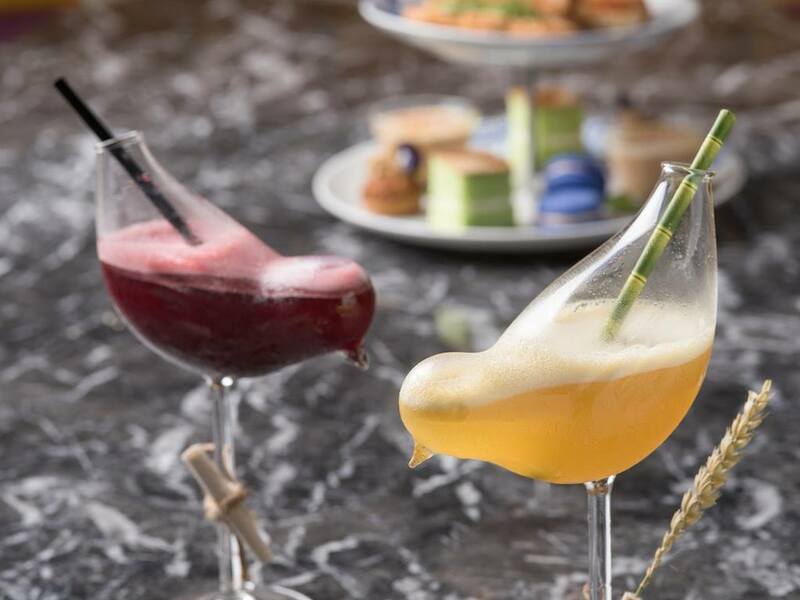 Still, although the Central spot may have lost the award for ‘weirdest drinking vessel’ (the Nekuta came served in a pitcher plant), it now has one of the most artistic cocktail glasses. 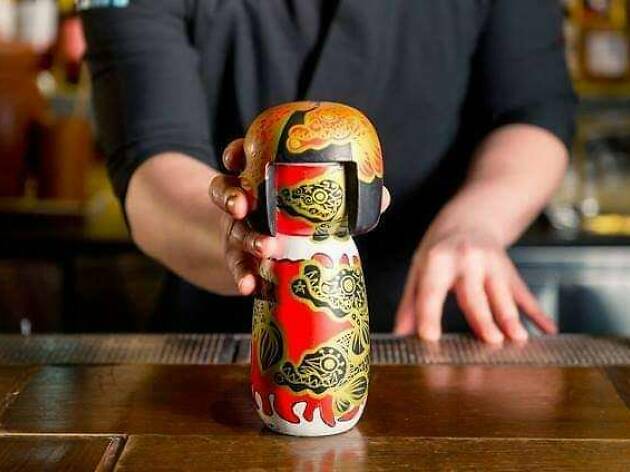 The Kokeshi is served in a traditional Japanese wooden doll decorated by Taiwanese artist Andy Yeh. 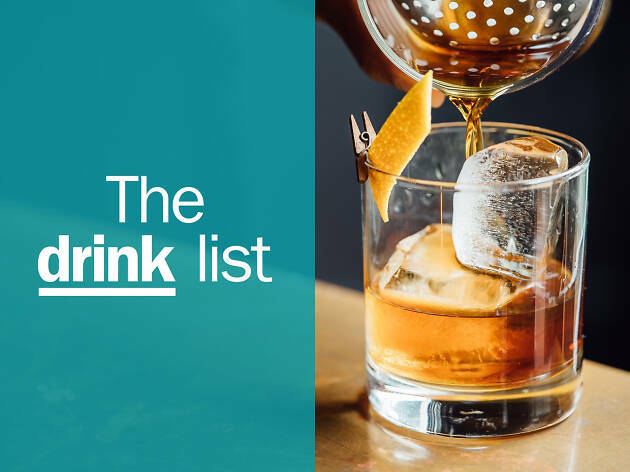 The drink itself? That’s a mix of Johnnie Walker black, Becherovka, yuzu and strawberry oleo saccharum and almond – a refreshing but complex mix. 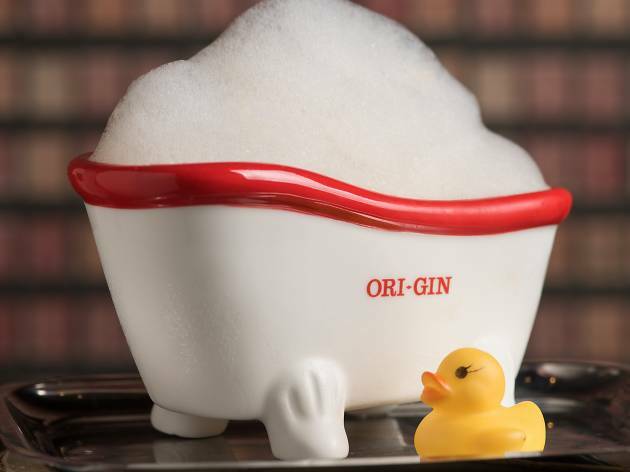 Quite possibly Hong Kong’s most Instagrammed drink, not only does the KGB come served in a miniature bathtub, it comes complete with a little rubber ducky! It’s essentially a martini, but made with Cointreau, Tanqueray gin, Japanese Kyoho grape liqueur, lemon, lime and grape juices, and elderflower syrup. It comes finished with Kyoho grape tea air bubbles on top and ‘caviar’ bubbles at the bottom. This cocktail is a blend of Snow Leopard vodka, pineapple juice, passionfruit purée, lemon juice, French vanilla syrup and Angostura aromatic bitters. There's also Early Bird's mate, Birds of a Feather, a blend of Talisker 10 years single malt, Ballantine’s finest scotch, Dilmah blueberry and pomegranate tea, thyme syrup, grapefruit juice, blueberry purée and malt essence. Both arrive served in delightful birdy vessels. 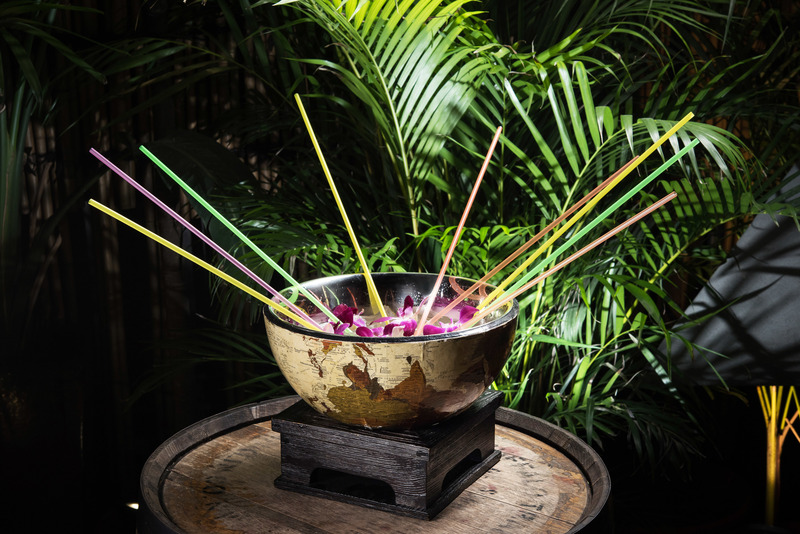 This somewhat elaborate and antique drink is for sharing with six to nine friends. 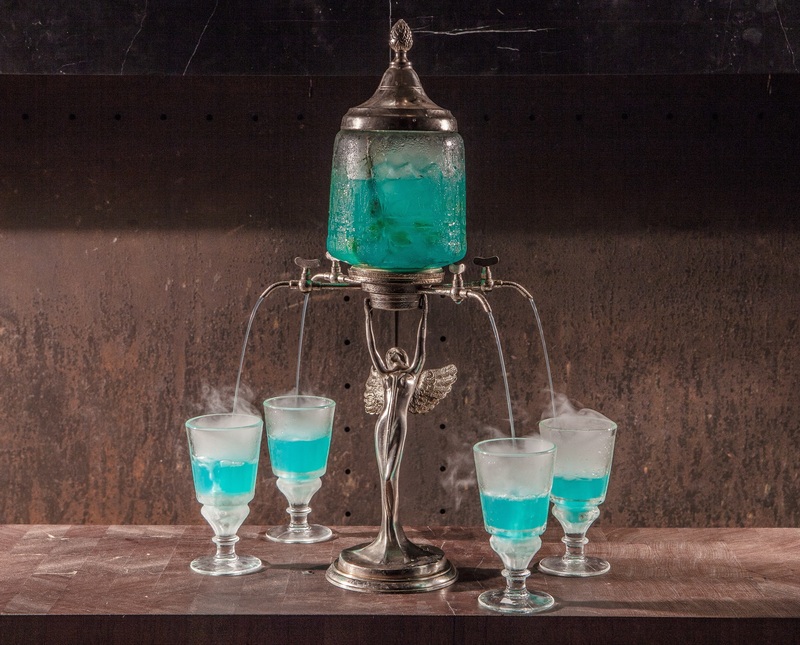 The unusual and highly alcoholic mixture of ingredients includes a blend of absinthe, London dry gin, blue curaçao, dry vermouth, lemon juice and other seasonal fruits. Served in an absinthe ‘fountain’, this will definitely have you seeing the blue fairy if you’re not careful. 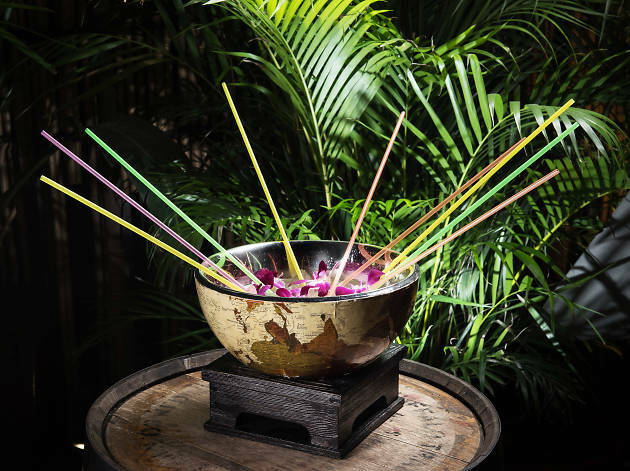 This bowl of booze is served in half a globe and is good for eight to 12 people to share. 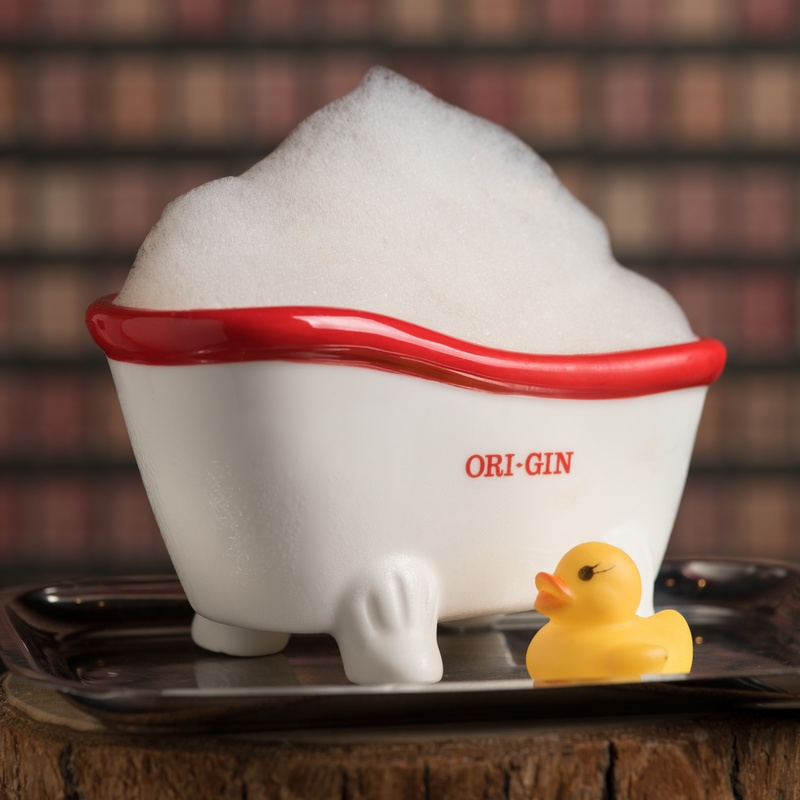 It’s made with three kinds of rum – Don Q Cristal, Diplomatico Mantuano and Plantation OFTD Overproof rum – guava juice, pineapple juice, grapefruit juice, cinnamon, and a special vanilla and orgeat syrup. Oh, and it’s topped up with a whole bottle of Taittinger brut champagne, because why not? 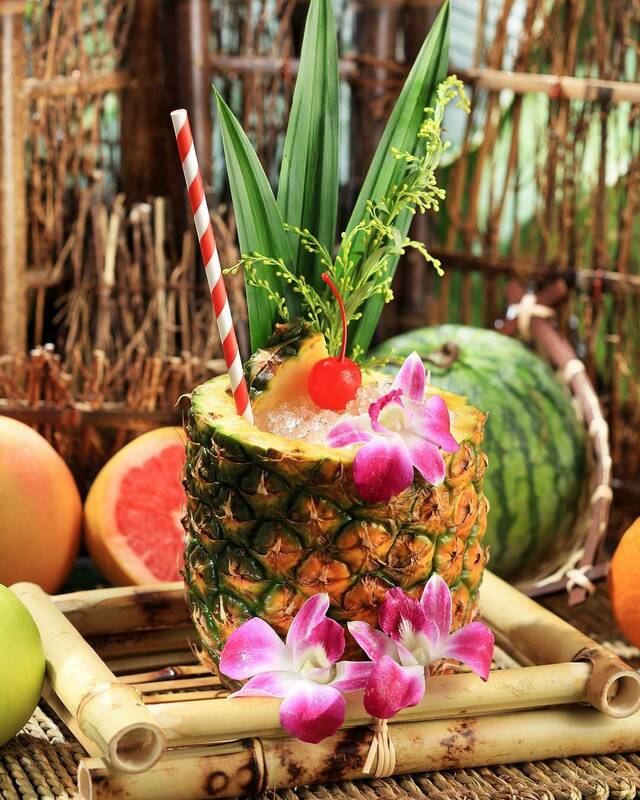 Another flamboyant tiki drink that should get plenty of likes is this fruity libation inspired by a Hawaiian deity. It throws together Bacardi dark rum, Malibu, a special Mikey Colada mix, mango and passion mixed purée, and orgeat syrup. 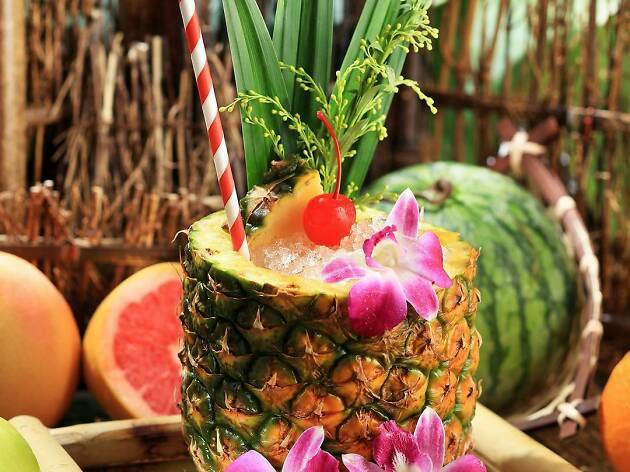 It packs a punch, and did we mention that it’s served in a whole pineapple too? Still cruising for a boozing?